(Natural News) Walnuts are healthy snacks linked to a bevy of health benefits, and a recent study has found another one. Researchers from Beth Israel Deaconess Medical Center claim that eating walnuts can lead to reduced food cravings, as well as increased feelings of fullness. According to ScienceDaily.com, they found that the consumption of walnuts was associated with an area of the brain in charge of controlling hunger and cravings. For the purposes of their study, the team recruited 10 obese volunteers for two five-day sessions at the hospital’s Clinical Research Center. During the first session, participants were randomly given one of two smoothies daily: a walnut-flavored placebo smoothie, or a smoothie made with 48 g of walnuts, the amount recommended by the American Diabetes Association (ADA). This was then switched for the second session. On the fifth day of each session, each participant underwent magnetic resonance imaging (MRI) scans while images were flashed before their eyes. These images included undesirable foods like vegetables, neutral objects such as rocks and flowers, and desirable foods like desserts and hamburgers. When the participants were shown desirable images, the MRI results revealed greater brain activity in the right insula after five days of the walnut-rich diet. The insula is a small region of the cerebral cortex that facilitates awareness of the human body and emotions. This meant that the participants were more attentive to their food choices and were selecting the healthier yet undesirable foods in lieu of the more desirable ones. “This is a powerful measure. We know there’s no ambiguity in terms of study results. 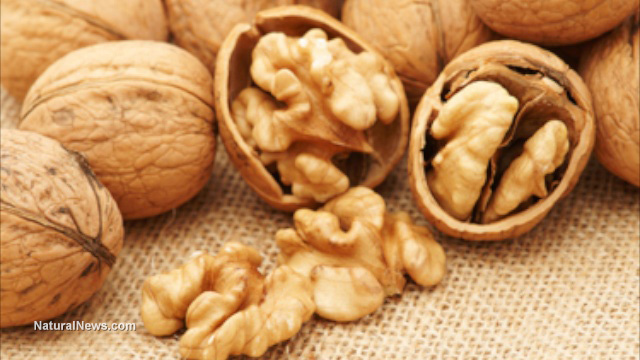 When participants eat walnuts, this part of their brain lights up, and we know that’s connected with what they are telling us about feeling less hungry or more full,” said Dr. Christos Mantzoros, lead researcher and director of the Human Nutrition Unit at Beth Israel Deaconess Medical Center. From here, the researchers plan on conducting more tests with varying amounts or dosages of walnuts to determine if this will lead to more brain activity. A separate study further bolsters the reputation of walnuts as a great weight loss tool. Here, 26 men and women between the ages of 18 to 35 were put on a seven-day diet high in polyunsaturated fats before returning to meals high in saturated fats. Although both diets had the same percentage of fat and number of total calories, the diet that was rich in polyunsaturated fats left the participants feeling more full. The researchers came to this conclusion by monitoring the hormone levels of each participant. They found that polyunsaturated fats significantly decreased ghrelin, a hormone that boosts hunger. Conversely, polyunsaturated fats increased the levels of peptide YY, a hormone linked to satiety of fullness. The hormonal changes suggest greater control over appetite. Compared to other nuts, walnuts are high in polyunsaturated fats, with an ounce or seven whole walnuts containing 18 grams of fat, of which 13 grams are composed of polyunsaturated fats. Like with Mantzoros and his team, Cooper has stated that more research is required to ascertain the ideal amounts of walnuts and other polyunsaturated-fat-dense foods for the most health benefits. Visit Slender.news for stories on even more health-promoting foods.